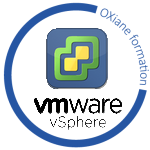 This intensive, extended-hours training course focuses on installing, configuring, and managing VMware vSphere® 6.7. This course combines the content of the VMware vSphere: Install, Configure, Manage course with advanced tasks and skills for configuring a highly available and scalable virtual infrastructure. The course is based on VMware ESXi™ 6.7 and VMware vCenter Server™ 6.7. Completion of this course satisfies the prerequisite for taking the VMware® Certified Professional 6 exam. Students who complete this course may enroll in any of several more advanced vSphere courses.